One of the most obvious barriers to effective data is the assessment of the quality of data. By definition, data quality is most understood as “fitness to use,” to achieve the desired results. On the surface it sounds simple, but when you understand data quality and data quality tools, that can be a tall order! Data gathering occurs across such a wide spectrum in this technology-driven environment; the variety of usage of the data can create problems based upon those specific needs. When governments strive to tap into the power of data, they find that program and statistical agencies both benefit from the information gathered. The data quality tools are used to help the data receiver and provider evaluate the quality of the data provided, and how they impact these six dimensions of quality. Globally, we continue to gather, evaluate and implement data strategies that direct our decision-making processes. These most significantly impact the direction of our government policies and their responsibilities. There has never been a more crucial time to ensure data quality tools are of the highest caliber. 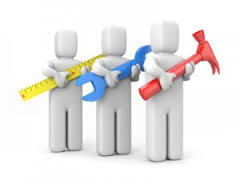 Data Ladder can be the right partner, at the right time, to ensure your data quality tools are of the highest caliber. Go to Data Ladder to download a free trial of our software.